It’s time for another rant! Today I am bitching about the Castlevania movie, or rather, the lack of a Castlevania movie. If you are a long time reader then you may remember that this is not the first time I have pissed and moaned about this movie. Well, I’m doing it again, two years later. Why? 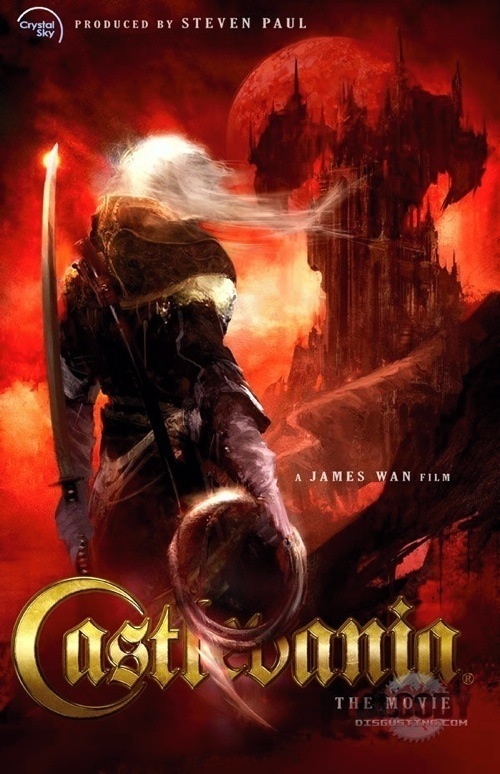 Because while scanning the interwebs for upcoming vampire films I came across Castlevania… again, and it is now slated to be released in 2014. Ugh! Castlevania is one of the greatest video game franchises out there, so when it was announced WAY back in 2005 that a Castlevania film was in the works, fans of the games were beyond excited, myself included. Well, our excitement died over the many years of new producers, new directors, new writers… etc. Every time we think the film is actually getting made, the whole project is halted again for the billionth time. So seeing Castlevania back with a new 2014 release date does NOT make me happy, it pisses me off. They’re a bunch of filthy teases, and no one likes a tease. Personally, I give up on the Castlevania movie. I don’t think it’s ever getting made. They keep pushing back the release date and not giving us any information at all. It angers me. “The land of Transylvania has been at peace for 100 years now, and the peasants and villagers have begun to purge their minds of the memories of the times when the lands were dominated by chaos and shadows, and when the undead walked the earth…However, there are those that remember that the evil Count Dracula returns every 100 years to plague the land, bringing with him the forces of Hell…Thus, one evening, the King of Darkness rises and returns to Castlevania, his ancestral home, calling forth his minions to purge the world of human flesh. The people cry out for a hero — someone to defend them from the evil desires of the count. What are your thoughts on the Castlevania movie? Do you think it will ever be made? What Would Happen if Vampires Were Discovered? Uwe Boll hasn’t thrown his hat in the ring yet? The good news: He’d get it done, quickly. The bad news: He’d get it done, quickly. “Castlevania” would be a first-class movie with the right A-list director at the helm. Lol, ah, the good ol’ days of blowing into cartridges to make them play. I remember Castlevania was one of my first Nintendo games as a kid – and it scared the hell out of me haha.